Hafiz (1325-1390) the poet of love, who has inspired the works of Islamic and Western writers, hailed from Shiraz. 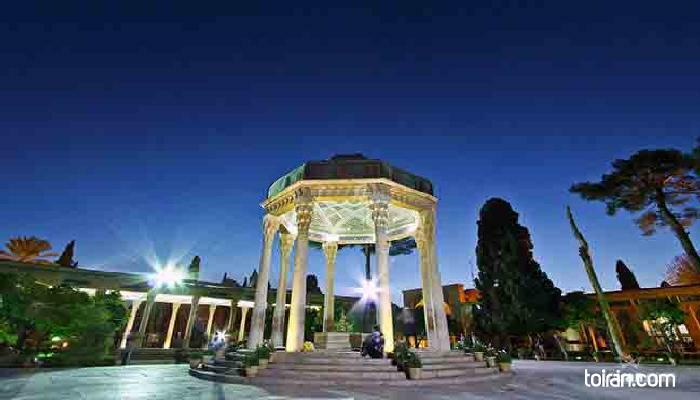 His resting place, the Hafezieh, pleases the eyes of visitors with its cypresses, poplars, flowering shrubs and rose bushes. The teahouse of Hafezieh serves a delightful orange blossom tea and is a great place to relax and reflect on the words of the poet: How beautiful is Shiraz's unparalleled state God save it from harm and the hands of fate. May God keep its flowing Roknabad River Its waters with freshness, always equate.